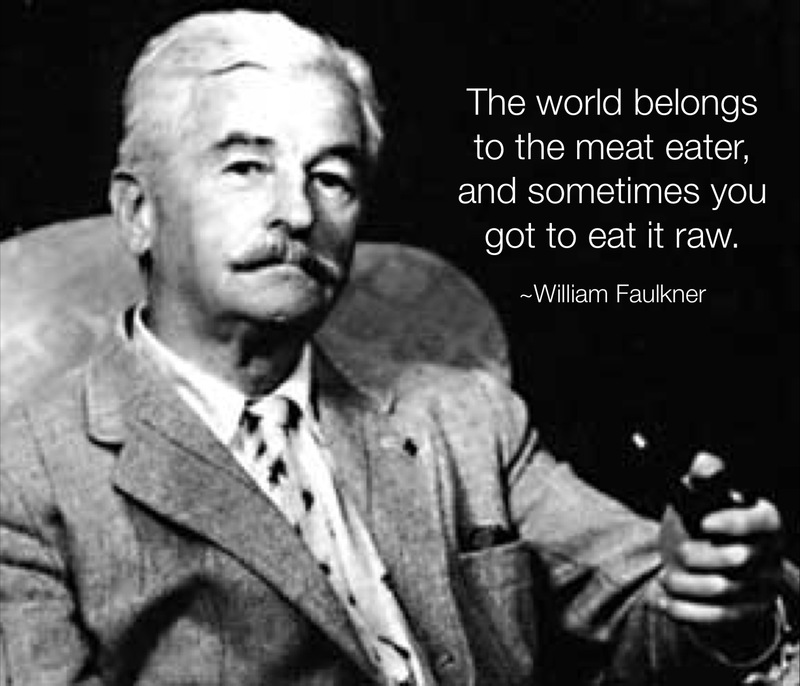 Why Do You Eat Your Meat Raw? | Eat Meat. Drink Water. This entry was posted in Esmée La Fleur and tagged All Meat Diet, Beef, Carnivore, Carnivore Diet, Carnivorous Diet, Carnivory, Fiji Water, Headaches, Histamine Intolerance, Histamines, Human Carnivores, Meat, Migraine Headaches, Migraines, Paleo, Primal, Raw, Raw Beef, Raw Carnivore, Raw Meat, Raw Paleo, Raw Primal, Raw Zero Carb, Red Meat, Zero Carb by esmeelafleur. Bookmark the permalink. Because I only eat once a day, it does not feel either repetitive or boring! I look foreword to every single meal and I t always tastes good. I eat only once a day and find it really liberating. I was wondering .. do you lose a lot of weight during your 16 day fasts? Hi Werner – I lose and average if 1 lb per day. It takes me a month or two to regain the weight I lose. Hi Esmee. Im a freelance writwr ( and an ALMOST zero carber and i eat most of my meat raw. 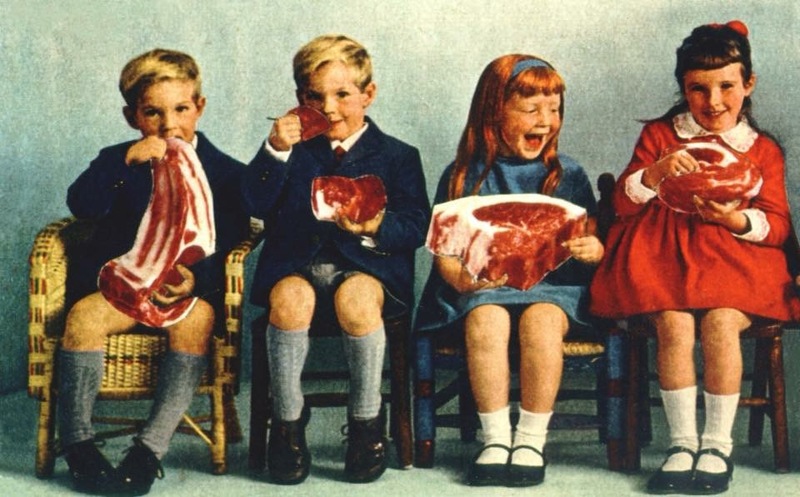 I am writing an article on the benefits of eating raw meat. Can possibly quote your article…about the digestion being easier? Genetically we are not designed for cooked or plant foods. Thank you for your impressive article. Please explain. Do you have any references? I’m interested to learn more. What exactly do you wish me to explain? Good Luck Esmee, Can’t quite go there myself. Having pan seared wild salmon with seared asparagus spears tonight. I was eating keto for about a year and went down under 148 pounds. Back eating some veggie carbs and some blueberries. Feel great (now 164#) so we all have to experiment and find what’s best for us. Good job Esmee! We must do what we have to do! We still going strong on Med rare ground chuck here..ribeyes…some bacon and some eggs and a little cheese here and there. All doing well…just a little over 7 mos. now. Thanks for all the encouraging interviews you send our way! Thank-you so much for this post. For the last few weeks, actually since my last fast too I have been eating raw meat. I would actually only eat raw meat, either minced or I cut it and eat like a regular steak, but I still have some frozen meat in the freezer. As for Fiji water I was out on one of my fasting days and I was thirsty and knew that Fiji water was one of the purest and bought a bottle. I should have know better because within 20min of drinking some I reacted to it. I ended up giving the rest to some plants. Great post. Boy am I happy I found your web site and the Facebook page. Thank you for sharing your own experience with Fiji water…more confirmation that I am not crazy! Thanks for continuing to share your journey, Esmée. I had wondered about the difference between raw and cooked, and you clearly explained the difference it makes for you. Congrats on that very important realization. I am sure this does sound complicated to people who are new to the concept of Zero Carb and/or Fasting, but it is terrific that you found this out! Interesting detail, too, about the mineral water… will have to take a look into that for myself, too, so thanks again for another valuable tip!!! I’ve woken up today feeling a lot better to since switching back to raw lamb & beef. Let’s hope it continues. Good luck Esmee! I hope you make further progress soon. Thank you for this! I am empowered whenever I read your posts. I have temporarily eliminated all meat and drink Lactaid milk only. I call it my modified fast. I have had luck with DAO histamine digester enzyme but do not rely on it as it is said to have a negative effect on natural digestive enzyme production if used too often. Read & completely agree Esmee. Good luck on improving your condition. I feel for you about the meat being cold in winter, I feel this way to about raw meat, I don’t like stone cold meat as much when everything is cold! I’m considering just heating it somehow to body temperature using water or a similar tactic. Has it ever crossed your mind that maybe there is something severely wrong with your digestive system and your body as a whole for being so incredibly intolerant to basically everything? The human race would definitely not be here if your experience was any indication of how humans should eat. It is interesting to read about your extreme ways, but I don’t think it is sane to think that any of what you are “discovering” for yourself applies to anyone else. Thanks for your opinion. Of course there is something wrong with my body. I have written a short summary of my history here: https://zerocarbzen.com/about-me/ if you are interested in the details. And of course I do not think that everyone needs to do what I do. I simply share my journey in case it might be of benefit to others. You would be surprised just how many others there are with this level of food sensitivity. I am a member of multiple Facebook groups that are filled with people just like me. You are truly blessed to be able to whatever you want and still feel good. I have not experienced that for over 25 years. I have been to many, many doctors without receiving any help at all. Everything I have discovered has come through my own experimentation and help from others with the same issues. Hi Esmée, So what meat is safe to eat raw? can i just do it with steak? I have severe amine and salicylate foods intolerances. i can only eat green beans, eggs, bread, goat milk. if you have time, i’d love to know how to eat meat raw safely ? i believe raw fish can kill you! I have a theory on the fiji water, it is naturally high in magnesium, that seems to trigger my histamine response, its all to do with the methylation cycle i believe, my naturopath is trying to work mine out now! Thanks Vanessa! Hi Vanessa – I am also histamine and salicylate intolerant. I eat no plant foods at all. The only food I eat is raw ground beef. I have to make sure it is as fresh as possible to reduce the amount of histamines I ingest. I do not eat any other meat, but I would consider raw lamb to be equally safe to eat raw. If you search on the name Aajonus Vonderplanitz and Raw Primal Diet, you will find a lot of info about eating meat raw. I personally have no interest in eating fish, pork, or chicken. I cannot eat eggs because they too are high in histamines. Butter also seems to be high in histamines, so I cannot eat that either. I eat only beef and the fat that comes with the meat. I prefer to buy bulk Primal cuts like New York Strip from Costco because they have a high turn over, the fat has not been trimmed off, and the meat has not been exposed to air. I hope this helps. Thank you for writing this! I also eat meat raw, otherwise it gives me a feeling of anxiety that lasts hours after eating.. 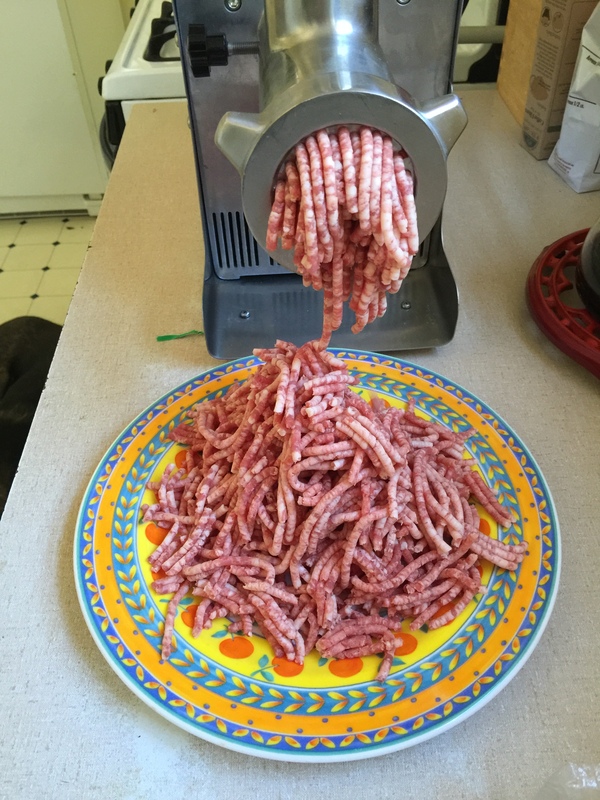 I ran a (un)scientific test on myself – I bought pounds of grass-feed beef, sliced, and froze it.. Then I took out about 4oz at a time, and lightly cooked/seared some meals, and ate others raw. i have no symptoms after raw, but the cooked meat makes me anxious and uncomfortable (like I can’t relax) within an hour. If this is histamine, then why does cooking cause more histamine? Why can I drink pasteurized milk, which has heated protein? My next test, if i have enough courage, is to eat raw fish (sashimi) which is documented to be high in histamine. You mentioned that you’re in facebook groups – which ones? I found one group particularly useful, called ‘Trying Low Oxalates’. The organizer is a scientist, and tries to keep content factual. Oxalates are found in plants and the cause pain and inflammation (think kidney stones). oxalate may cause mast cell deregulation, and therefore overly-reactive to histamine. Many people produce oxalate endogenously (via b6 or b1 deficiency or genetic problems), so diet isn’t the only answer… but is a big improvement for nearly everyone. Once inside the body, we rely on bacteria to break it down (eat it), or we excrete it. We (humans) have no way to break it down ourselves. Sorry for rambling… thanks again for posting about your experience! I help run the zero carb group Principia Carnivora. 3) we develop a b1/b6 deficiency and produce oxalate endogenously. many people on the oxalate forum have salicylate sensitivity. salicylate and oxalate may use the same sulfate transporters across cell membranes. it’s just something to consider. Interesting about the Fiji water. Still trying to figure out the best source, as inexpensively as possible. Afterall, it is a big part of the zero carb way of life. While I have not really fasted since my early 20s when I was a vegetarian (now late 50s), I did do what you call 23:1 raw grassfed bison & marrow, as my first ZC trial in 2008. I was very influenced after reading Lex Rooker’s posts then. I’m interested in one day trying fasts for longer periods. I think I need to gain some stability on being ZC for a longer stretch. While Aajonus, was not into fasting, or water drinking, and ate honey, dairy, green juices, & some fruit, he did turn me onto eating raw meat which I have been eating since 2002. He always talked, taught about how important raw animal fat is in healing, cleansing, nourishing, lubricating the body. The longest I’ve been able to do cooked meat since then is 2 weeks. Your site seems like it brings together all these pieces of wisdom. Good resource! Hi Esmee, thanks again for all your insights and documentation. I tried to ask this question before but maybe you are inundated with Q’s or the form failed. How do you break a long fast like that on raw meat? Do you choose leaner rather than fattier, and very small portions to ease the tummy, or do you go straight to your normal ratios and portions? Does it cause any upset? It depends on how long the fast was. If the fast was less than 3 days, then inwould just eat a normal meal. The longer the fast, the more cautious I am in breaking it. I always use whatever food I normally eat, which for me is fatty raw ground beef, but I eat less than normal. I always have a rough transition back to food after a long fast no matter what I eat, but that is not true for everyone. The only way to find out is for you to try it. Please join us in our Facebook group Principia Carnivora for hands-on help. 1. Does anyone eat mushrooms? I love the taste especially lightly cooked in butter. Ramifications for eating them? 2. Do you also eat your organ meats raw? Liver, brain, heart, etc. Thank you for being such a wealth of information! I am devouring it as fast as I can assimilate it! Technically, mushrooms are not part of a zero carb diet. This is a question that has come up frequently in our Facebook group Principia Carnivora. If you join us there, then you can search the group for previoys discussions. I don’t eat mushrooms because they are high on the FODMAPS list (containing indigestible and fermentable sugars) and they are high in salicylates, histamines, and glutamate… all of which bother me. That being said, our ancestors certainly ate them. It really depends on your own health situation and food tolerances. I do not personally eat organ meats because 1) I don’t like them; and 2) they are high in histamines. But yes, they too can be eaten raw. We have few members of our Facebook group who eat raw liver. And Lex Rooker adds raw organ meats to his raw beef. Thank you so much! I am now a part of the FB group as well. Fiji water is very high in deuterium, ZC is the most deuterium depleted diet. Fiji water makes me feel horrible. I do much better with New Zealand 1907 and Icelandic Glacial. I’ve researched the deuterium thing and I’m not convinced. Many have done quite well only only meat and water for years. Regular fasting is also beneficial. Interesting, thank you. My reaction was fairly immediate though.